TRAVERSE CITY, Mich. – The Red Wings welcomed two new assistant coaches to the organization for the 2011-12 season, including one who worked for Mike Babcock more than a decade ago. Jeff Blashill and Bill Peters are the new assistants who will flank Babcock behind the Wings’ bench, filling the voids left by the departures of Brad McCrimmon, who is now coaching in Russia’s Kontinental Hockey League, and Paul MacLean, now head coach of the Ottawa Senators. However, unlike their predecessors, Blashill, who coached at Western Michigan University last season, and Peters, who was the head coach at AHL Rockford for the last three years, both are NHL rookies. Yet both men -- who signed three-year contracts with the Wings -- have been championship-caliber coaches wherever they have been. "Rockford is a very, very tough team to coach against," said Grand Rapids coach Kurt Fraser, who is in Traverse City this week as part of the coaching staff at the Red Wings' prospects camp. "I'm sure that Jeff will do a great job with Detroit," Fraser said. "Every time we went into their building, they competed hard. And he had a lot to do with that. The goaltending that he had was great and the team in front of him was great, and obviously that's a coaching thing." Peters coached with Babcock when the two were in Spokane of the Western Hockey League. Peters was a midseason replacement on Babcock’s staff during the 1996-97 season and returned to the same post in 1999 – Babcock’s final season with the Chiefs – where he stayed until 2002. After three seasons at the University of Lethbridge, Peters returned to Spokane, but this time as head coach, and he helped the Chiefs capture the Memorial Cup in 2008, the same year that the Red Wings won the Stanley Cup. Peters is third all-time in Chiefs’ history with 111 coaching victories in just 216 games. Babcock’s 228 wins still sits atop the Chiefs’ list. In 2008, the Chiefs tied a franchise record for most wins (50) and set new marks for points (107) and fewest goals allowed (160). Most recently, Peters was the most-tenured coach in Rockford IceHogs’ history, spending the last three seasons at the helm of the Chicago Blackhawks’ top AHL affiliate. During that time, Peters guided the IceHogs to a 122-97-7-14 record, including back-to-back 40-win seasons in his first two campaigns. While at Rockford, Peters helped groom 28 different players for the NHL, including Stanley Cup champion goalie Antti Niemi and defenseman Niklas Hjalmarsson. Born in Detroit, but raised in Sault Ste Marie after his family moved to Michigan’s Upper Peninsula when he was just 3-years-old, Blashill has been a Central Collegiate Hockey Association (CCHA) lifer. "I'm sad to see him go, but it's a good opportunity for him," said Western Michigan defenseman Danny Dekeyser, who is a free agent invitee to the Wings' prospect camp. "He sets standards high and he makes his players play up to those standards," Dekeyser said. "He's tough on making you do well, and he's not going to let you slide on anything, whether it's with curfew or being to the rink on-time. He demands a lot, but I think that's what makes everyone better." A collegiate goalie at Ferris State University, it didn’t take long for Blashill to jump into coaching after his senior season in Big Rapids, Mich. 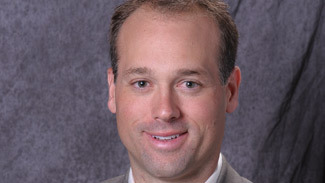 He quickly latched on to an assistant position with the Bulldogs in 1999 and after three seasons at Ferris and another six at Miami (Ohio), Blashill took a head coaching gig with the Indiana Ice in 2008, and led them to the USHL championship in his first season. Last year, Blashill, 37, returned to the CCHA as the boss bench at WMU and earned national coach of the year honors from two college hockey publications. Blashill rejuvenated the Broncos, which had a losing record a season earlier. Under, Blashill, the Broncos improved to 19-13-10, finished forth in the CCHA regular-season, but managed to reach the CCHA tournament championship game before falling to Miami at Joe Louis Arena. "Before we came to this camp, we were in Kalamazoo and (Blashill) mentioned to us that he had a chance at getting the job," Dekeyser said. "We didn't know for sure, but now he's got the job and we're excited for him."